Quote: "The man who officers say caused the accidents kept going. 'He drove the vehicle probably half a mile before coming to rest and taking off his clothes,' said Pearlstein. With his truck parked in the middle of the highway, the man – now minus his clothes – walked into and out of traffic." Quote: "Ten houses were evacuated. Three cars parked in front of the damaged house were damaged or destroyed by fire. At present, electricity and gas are cut in the neighborhood. An investigation was opened to try to identify the victim and to understand the reasons of the accident." Quote: "The Southern Metropolis Daily reported that witnesses heard three blasts at the Fuhua Engineering and Manufacturing Co. factory, and the facility's walls and ceiling were destroyed. The blasts also damaged a nearby glass factory and other plants. Pictures posted on the Southern Metropolis Daily's website showed panels blown off the building's structure, with people lying hurt on the ground." Quote: "There was an electrical box fire outside 1 Times Square in the building that has the New Year's Eve ball. The fire broke out around 9:30 p.m. Wednesday." Quote: "This incident has occurred a day after when a huge fire in Lahore's Anarkali market ravaged a three-storey building, leaving 13 people dead. On Dec 28, a fire had also swept into a timber market in Karachi's Old Haji Camp, razing dozens of nearby buildings." Quote: "A stubborn fire destroyed one boat before it sank and damaged two others Wednesday at the Marina at American Wharf in Norwich Harbor." Quote: "A recycling truck fire north of Choctaw Field Tuesday night shut down traffic on State Road 87 for nearly two hours. Holley-Navarre Fire Department was called to the fire on S.R. 87 at the south end of the Yellow River Bridge at 7:42 p.m..."
Quote: "They immediately checked and found that rear portion caught fire from some unidentified source. They alerted the other drivers and barrier staff but within no time the goods kept in the truck including fire fighting equipments, garments etc were gutted in fire." Quote: "Our crew at the scene was told by SFD that the fire started in a vehicle in a carport and also scorched a boat parked nearby, but didn’t spread to the house." Quote: "Rescuers said that an occupant of the burning vehicle got out before the car was engulfed in flames. The crash, involving two vehicles, happened around 11:45 a.m. Wednesday, Dec. 31." Quote: "Officials do not yet know what caused the fire. Rockafellow estimated, given that farm equipment was destroyed, that damages will run into the millions of dollars. 'You can't fathom the size of it,' he said. 'I can't imagine how many potatoes are stored in these buildings.'" Quote: "People have reported dead animals including an alligator and some raccoons and turtles. They've taken pictures of a film on the water. 'I've never seen catfish or any fish die off to this extent,' said Jones. 'It's quite upsetting because I've been here since '73, and the waters were much better,' said John Mongioi. Palm Bay Public Works employees checked the water for dissolved oxygen but said so far levels look normal." Quote: "A 13-year-old boy has become South Australia's seventh road victim since Sunday morning, with the state recording its worst road toll for four years. His death came only hours after a bizarre series of events in which a man who had allegedly attempted to rob two girls was run over while lying on the road." Quote: "Fire crews quickly contained the scene, stacks of paper in the building caught fire. The building is also used for recycling materials." Quote: "About 80 firefighters from Denver and Aurora were called to the fire at a carpet recycling company near the intersection of interstates 70 and 225 on Tuesday afternoon." Note: I definitely see why major international insurers have bowed out of the recycling industry. Also see the fatal plane crash in Centennial (Colorado) on this day, near Denver. 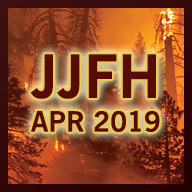 From the full hypothesis: "Trash-related facilities such as recycling centers and landfills will burn hard too, as hydrogen sulfide is absorbed into flammable absorbent materials like wood, paper, cardboard, straw, hay, dried brush, generic trash, clothing, cotton, wool." Quote: "The fire broke out about 9 p.m. at a warehouse-style building near 5180 W. 4900 South, in an industrial complex, said Unified Fire Authority Battalion Chief Brian Anderton. The building housed a cabinet shop and two wood pallet repair businesses." Quote: "The wooden bridge is about three meters long. Police say there was no wiring or other possible sources of ignition in the area of the bridge, and the fire is considered suspicious." Quote: "Because of an increase in car fires, they're urging people to add fire extinguishers to their emergency car kit. It’s important to keep certain items in your vehicle in the event of an emergency, items like jumper cables and a medical kit. And now first responders are asking people to add fire extinguishers." 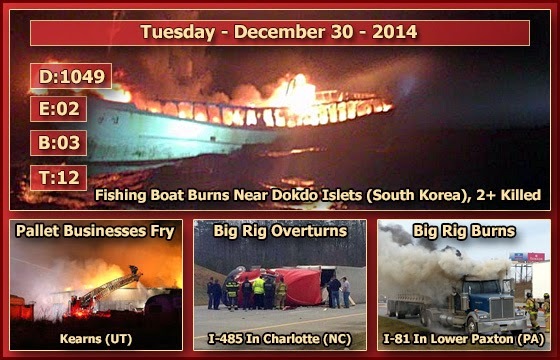 Quote: "The fires happened at Diversified Yacht Services around 5:30 Tuesday morning. Fire Marshal Captain Ron Martin tells WINK News two boats were fully involved in flames. One is considered a total loss and sank to the bottom of the bay. The other, a 59 foot boat, was very heavily damaged." 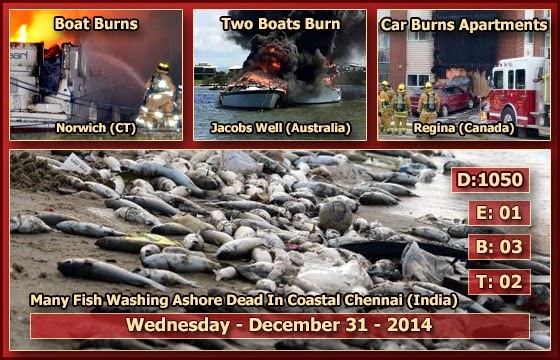 Quote: "Both boats are a complete loss. The damage is estimated to be around $1.2 million." 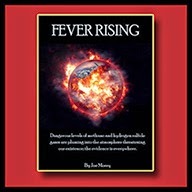 Quote: "A fire on a fishing boat off South Korea killed two and left four others missing, a media report said Tuesday. The Munseong 103 caught fire early Tuesday, 5 nautical miles north-east of the Dokdo islets, South Korea's Yonhap News Agency reported, citing the Ministry of Public Safety and Security." Quote: "As many as seven empty tractor trailers went up in flames during a Mississauga truck yard blaze Tuesday evening. No injuries were reported and the trailers were empty at the time. Peel police were called to a trucking lot at 2200 Drew Rd. shortly after 7 p.m. on reports of several trucks on fire." Quote: "Sullivan says the truck was carrying cooking oil, popcorn and other products." Note: Unpopped popcorn? That'd make for an interesting big rig fire! Quote: "A semitruck reportedly caught fire near Litchfield Road and Olive Avenue and the flames spread to a nearby field." Quote: "The fire started about 3 a.m. on Snell Hill Road. Derek McLaughlin, who lives in the home next to the barn, said he woke up to the sound of popping, looked out his window and saw flames." Quote: "Snowmobiles, obviously my tractor was right there. There was a lot of food inside and freezers and everything..."
Quote: "The fire melted most of the truck, which was a 2000 Ford F-350. It was the Howe FD’s only brush fire truck, Hoy said." Quote: "Officials said the fire appeared to have started at the vehicle (make unidentified in the report) and then spread from the carport to the house." Quote: "Fenichel said Mount Olive police arriving on the scene described the car fire as 'fully involved' as it was parked next to a home and detached garage. Flanders respondents were joined and assisted by members of the Budd Lake Fire Company as the fire was spreading up the outside walls of the house to the roof of the garage and to a second vehicle." Quote: "This video is taken from our office on Drydock Avenue at 4:30 PM yesterday. The car burst into flames, and exploded as firemen prepared to extinquish the fire. Note how little the fireman flinches when the explosion occurs." Quote: "According to a neighbor the vehicle was parked about three miles east of Garberville." Quote: "The owner says there was a woodshop, several antiques, and a small plane in the barn." Quote: "Firefighters fill a portable water tank in the foreground, as others battle the garage fire (far left) and the main house (center) at 2659 Springvale Road, near Walloon Lake. Firefighters from Melrose township, Boyne Valley township, Boyne City and Resort-Bear Creek township responded to the Monday afternoon blaze." Quote: "No one was home at the time as the owners were on vacation. They had just moved into the house about two weeks ago." Quote: "The fire erupted shortly after 5 a.m. at CJS Film Studios at 2005 N. 103rd Ave., an Avondale Fire Department spokesman said. Crews from Avondale, Tolleson, Goodyear and Phoenix were fighting the fire. The property, which has been abandoned for several years, contains several studios, horse stables, a Western town set, caretaker's buildings and a guard shack. It was not known how many buildings were involved, but it appeared it would be a total loss, the spokesman said." Quote: "The RNC says the deaths of two young people whose bodies were found in a car parked off Portugal Cove Road yesterday afternoon was a tragic accident. The couple was discovered yesterday when a passerby noticed the parked car and found the bodies of the 20-year-old man and 17-year-old girl inside." Quote: "The wreck occurred around 5:30 a.m. at exit 24, Kissena Boulevard. The eastbound lanes were closed between Main Street and Kissena Boulevard, and expected to be closed for the morning commute. A small car fire also had to be extinguished by firefighters." Quote: "The woman driving the S-U-V originally told authorities that she believed that another child was inside the vehicle. But police later determined that she had already dropped off the child at another location before the crash and may have been confused. Police are investigating the possibility that a medical issue may have led to the accident." Quote: "I heard a loud bang and when I looked, the guy got out of the car and he was in flames ... He was walking like a zombie, full of flames. He was in shock..."